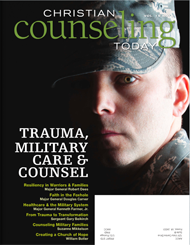 The Military Counseling Initiative, a Division of the American Association of Christian Counselors, exists to equip Christian counselors, chaplains and caregivers to offer compassionate care and competent counsel for military service men and women and their families. 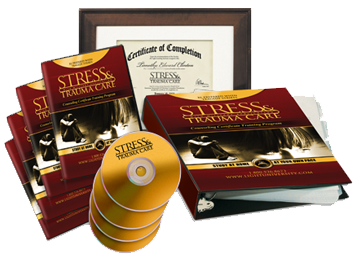 Stress and Trauma Care is designed to help increase your knowledge and understanding of PTSD and Combat Trauma. Welcome to the Newly Launched MCI Website and Blog! The Military Counseling Initiative exists to call Christian counselors, chaplains and caregivers to action—standing in the gap to provide mental health care for our military. Whether you’re a counselor, chaplain, service member, spouse, or family member, we trust the Internet resources below will prove helpful resources to you. Please note: Listing here does not necessarily indicate endorsement by MCI or AACC. Military OneSource supports every phase of military life including deployment, parenting, financial management, education, child care, spouse employment, etc. Members to access at any time of day, regardless of component or geographical location. 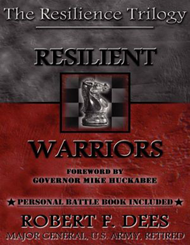 The Institute for Military Resilience exists to fill a void that exists for military personnel with relevant, faith-based curriculum and resources. Operation Military Family is committed to providing resources to help veterans, active service members, and their families navigate life’s transitions. Family Readiness Groups are command-sponsoredorganizations of family members, volunteers, soldiers and civilian employees associated with a particular unit. The goal of FRGs is to help families adjust to military life, gain support, and cope with deployments. A searchable nationwide list of FRG locations is available online. Christian Military Wives is an inter-denominational, Bible based ministry of Christian Military Fellowship established to assist military wives and their families through encouragement and education. How can you follow your dreams while supporting your spouse’ service to our country? Let Military Spouse Help give you tools to help you do so. Our workshops and articles have helped thousands of military spouses turn the challenging military lifestyle into a life full of possibilities. Gold Star Wives of America, Incorporated is an organization of widows and widowers whose spouses died while on active duty in the military services or as the result of a military service connected cause. Operation: Military Kids is the U.S. Army’s collaborative effort with America’s communities to support children and youth impacted by deployment. This interactive kids’ website offers ideas and downloadable resources for games, coloring, journaling, and letter writing. It also includes information about geography and military life at an age-appropriate level. Military children generally move six to nine times during their K-12 school years. The work of the Military Child Education Coalition (MCEC) is focused on ensuring quality educational opportunities for all military children affected by mobility, family separation, and transition. Military Youth on the Move is the one-stop-shop for advice and information on moving, social life, school and more. The site is divided into areas for kids, pre-teens, teenagers, and parents. 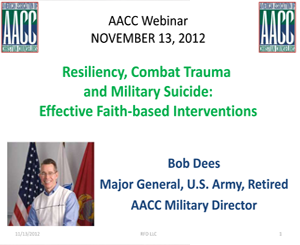 Topics addressed include moving, deployment, healthy living, and friendships. Military Community Youth Ministries is an ecumenical Christian ministry reaching out to every military teen. MilitaryHOMEFRONT is the Department of Defense website for official Military Community and Family Policy (MC&FP) program information, policy and guidance designed to help troops and their families, leaders, and service providers. Whether you live the military lifestyle or support those who do, you’ll find what you need. Our program provides a network of community-based services designed to help veterans and their families overcome the challenges of stress-related and traumatic brain injuries. These services are coordinated through local regional VWWP consortia consisting of community providers, including community services boards, brain injury services providers, VA Medical facilities and other public and private providers. Operation We are Here offers practical suggestions to churches, communities and individuals on how to support and encourage the military home front and provides a comprehensive list of resources for families/loved ones of deployed military personnel. FHP&R works to disseminate information throughout the Department of Defense to enable defense medical providers in theater and at military treatment facilities to make informed decisions and serves as a conduit through which commanders and Service members can contribute to deployment health policy and best practices. requiring an Internet-based platform focused on post-deployment psychological health issues. Topics include health tips, self-assessments, e-libraries, self-paced workshops, personal stories, community forums, expert blogs, links to hotlines, provider locator tool, etc. Not Alone provides programs, resources and services to warriors and families impacted by combat stress and PTSD through a confidential and anonymous community. Questions about the GI Bill? This website serves as the home for all educational benefits provided by the Department. The DoDEA instructional program provides a comprehensive prekindergarten through 12th grade curriculum that is dedicated to attaining highest student achievement for all students at military bases around the world. GoArmyEd is the virtual gateway for all eligible Active Duty, National Guard and Army Reserve Soldiers to request Tuition Assistance (TA) online, anytime, anywhere for classroom and distance learning. It allows Soldiers to manage their education records including college classes, testing, on-duty classes and Army Education Counselor support. The Academic Institution Portal offers civilian institutions the ability to submit electronic invoices, submit electronic course completion data, and retrieve electronic data in order to complement their IT Systems. With access to the AI Portal, many new and exciting web services and tools will be exposed to your institution. The Navy College provides Sailors with opportunities to earn college degrees through a variety of options. The program’s mission is to provide continual academic support to Sailors while they pursue a technical or college degree, regardless of their location or duty station. Convenient, flexible and affordable. The #1 online school for Biblical Counseling, Life Coaching and Crisis Response. Strengthen and enhance your calling as you learn from the best of the best! Liberty University offers World Class Christian education with over 253 exceptional undergraduate and graduate programs on its Central Virginia campus and globally online. myPay is an innovative, automated system that puts you in control of processing certain discretionary pay data items without using paper forms. You can also get your pay and tax statements, and travel advice of payment. Army Knowledge Online (AKO) provides corporate intranet services and single web portal to the United States Army. AKO provides the US Army with email, directory services, portal, single sign on, blogs, file storage, instant messenger, and chat. Navy Knowledge Online (NKO) provides corporate intranet services and single web portal to the United States Navy. NKO provides the US Navy with email, directory services, portal, single sign on, blogs, file storage, instant messenger, and chat. In an effort to make moving a little bit easier for you, the US Department of Defense (DoD) United States Transportation Command (USTRANSCOM) and the Military Surface Deployment and Distribution Command (SDDC) developed the Defense Personal Property Program, or DP3. As part of the DP3 mission, an internet-based system to manage DoD household goods moves was created. It’s called the Defense Personal Property System (DPS). Search for past or present Government Per Diem rates by city, state or zip code with this interactive website. Information from the U.S. Department of Agriculture/Animal and Plant Health Inspection Service on requirements for pet travel to and from the U.S. This website includes a consumer guide to help veterans and active military to understand the benefits of, types of, and eligibility requirements for VA Loans, including mortgages, refinancing and home equity loans. The vision of Veterans of Foreign Wars is to ensure that veterans are respected for their service, always receive their earned entitlements, and are recognized for the sacrifices they and their loved ones have made on behalf of this great country. The DAV’s Voluntary Services Program operates a comprehensive network of volunteers who provide veterans free rides to and from VA medical facilities and improve care and morale for sick and disabled veterans. Annually, the DAV represents more than 200,000 veterans and their dependents with claims for benefits from the Department of Veterans Affairs and Department of Defense. Get exclusive military and veteran only discounts! Over 267,285 discounts for military, veterans, spouses and retirees! Over 100,000 visitors per month enjoy MVDC discounts! LocalVeteranDiscounts.com is dedicated to compiling Veteran discounts in one easy to search place on the Internet. Whether you want to attend a local theme park or travel with freebees and perks along the way, check out The Military Veteran to find out what is available for you and your family members.